Cartoon service advertising can be costly. If you decide to promote your illustration service or cartooning service, it can add up quickly. Whether you decide to use print advertising to promote your cartooning or cartoons, or if you buy banner advertising or even run digital ads like those offered by Google, it can become expensive. 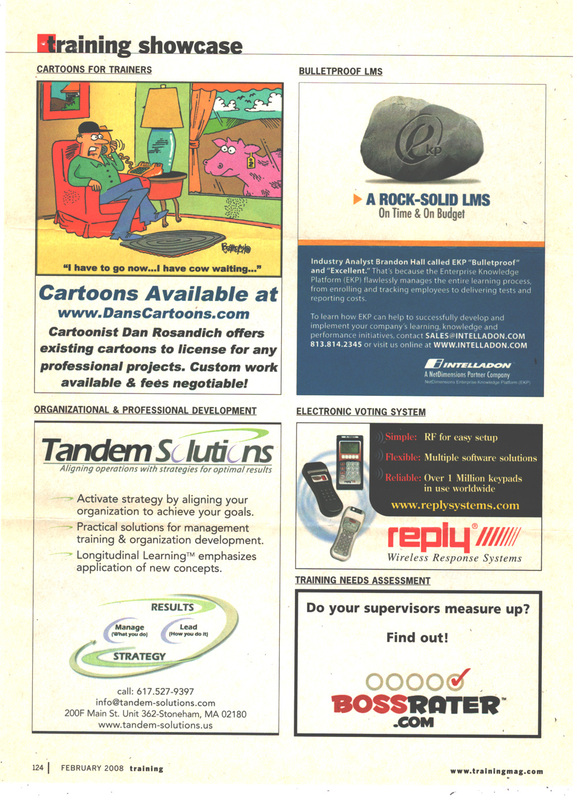 In recently cleaning out old paperwork and records this spring, I stumbled upon some more interesting print advertising I had run in a trade magazine called Presentations. Looking back at these old ads, I was able to recoup my initial investments but at the same time, I was running display advertising in other print resources. 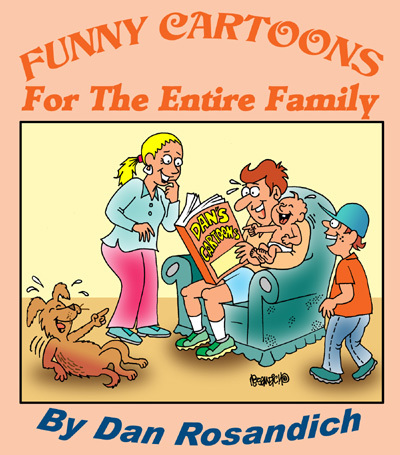 All of this was to enhance the visibility of my website DansCartoons as you’ll notice. I strongly believe that just having a website up and running that offers your portfolio samples is not enough. 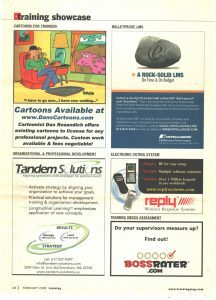 You need to promote cartooning and illustration services in other areas of print. Enhancing your visibility through other areas is essential in people finding out about you. Namely art directors, editors, creative directors, book publishers and editors and the like. Buy page space in trade journals that caters to these sectors if it is where you want to concentrate your availability. You also want to engage in some aggressive email campaigns. You don’t necessarily have to buy into programs where you’ll have 5,000 or 10,000 emails sent out in bulk. You can send those emails out on your own. How you ask? Manually….one at a time, to creatives you find online, in your spare time. They are out there if you’re patient and if you take your time. Be meticulous and choose only recipients who you feel will be interested in what you have to offer. By searching these potential clients out on your own, you’ll be manually building your own list and some could actually turn into clients of yours! Have a look at the sample here on this page I advertised my services on. You could use it as a potential template or sample to go by. If you have questions, feel free to email me and I’ll answer any type of question you have.